We source grapes from locations in Napa and Sonoma where the selected grape varieties have excelled - such as Napa Valley for Cabernet Sauvignon and coastal Sonoma for Pinot Noir and Chardonnay. We make our wines at a shared wine production facility in Napa Valley before bringing the finished barrels of wine to our tasting room. This allows us access to cutting edge winemaking technology with the industry’s leading experts. 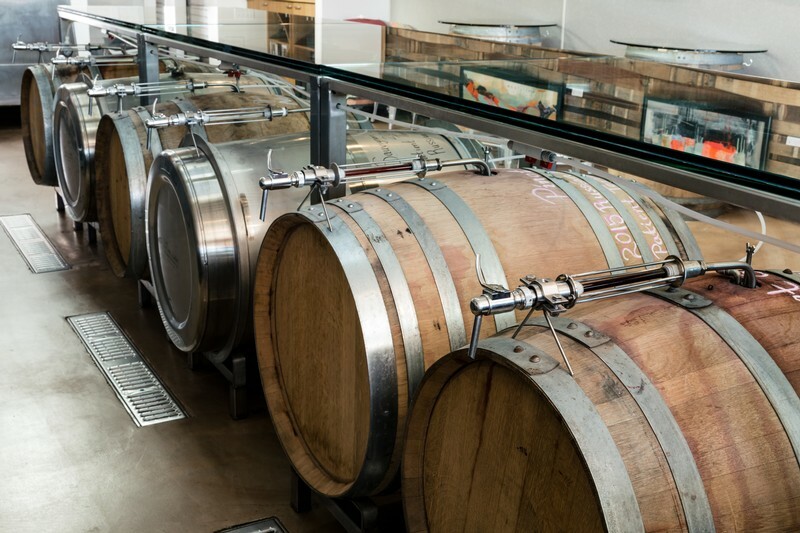 LJ Crafted Wines are available directly from the barrel for tastings, by the glass and in growlers for off-site consumption. Wine Associates lead tasting room guests through a changing line-up of wines on the tasting menu. Guests can select wine by the glass from our range of ever-changing small batch wines across a wide taste spectrum, served directly from the barrels. LJ Crafted Wines have been recognized in the News for the taste and quality of their wines. Alison Green-Doran holds a lasting placemark for being one of California’s first female winemakers. 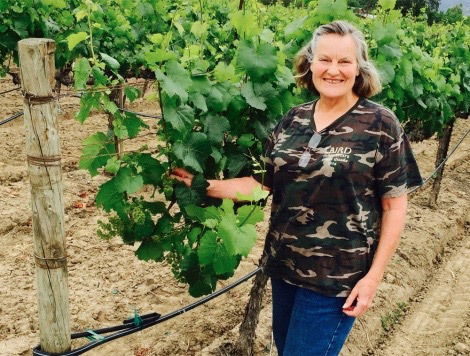 Having a strong background in vineyard management, she’s a seasoned veteran in the industry with forty harvests tucked beneath her vintner’s belt, yet still ventures into the vineyard with the enthusiasm and passion of one’s first. Alison was first introduced to winemaking when her father tasked her with a harvest intern position with the family vineyard, Simi Winery beneath the guidance of post-Prohibition winemaker, André Tchellistcheff. It was here, that Alison developed a relationship with wine that would persist throughout her professional career. Under André’s advice, she pursued a cellar position in Alsace, France, then returned to the states to complete her Fermentation Science degree from UC Davis. She soon began her work for Firestone Vineyard, working her way from a Laboratory Technician up to Winemaker in 1981, a position she held for 19 years. Alison soon found her earliest roots calling, and returned home to continue her work with the family business. To date, Alison has won numerous winemaking awards, cultivating excellence in all aspects of her work. We are honored to have her site-specific expertise with the management and production of our family wines. Aside from being wonderfully eco-friendly way to consume wine, when served from the barrel, wine often tastes better. Commercial practices require filtration and the addition of standard preservatives to the final product before a wine is bottled. 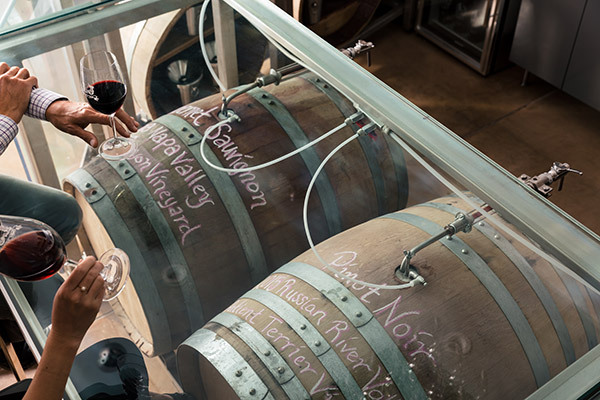 We believe this process can reduce the character of wine, so we’ve devised a system to preserve the complexity of our wines by offering you an enchanting barrel tasting experience that’s authentic. The role of oxygen is pivotal in its relationship to wine. Too little can create a tight, reductive wine with little to no expressiveness, while too much oxygen can reshape the wine where it begins to lose freshness and eventually becomes vinegary. We use our innovative, US patented displacement device which replaces wine with inert (still) gas at a low pressure to create an oxygen-free environment in our barrels. This is not wine in a box, nor a bladder in a barrel. LJ Crafted Wines was born from an intention to reduce environmental impact which inspired thinking around standard practices in the wine industry. 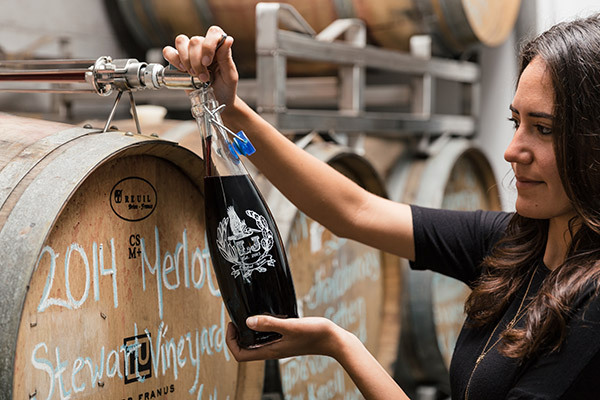 To break with normal methods of bottling and packaging by adopting the use of growlers seen in San Diego craft beer industry, Lowell focused on developing a delivery system which would enable wine to be served directly from the barrel. LJ Crafted Wines has created an experience not found anywhere in the wine industry. 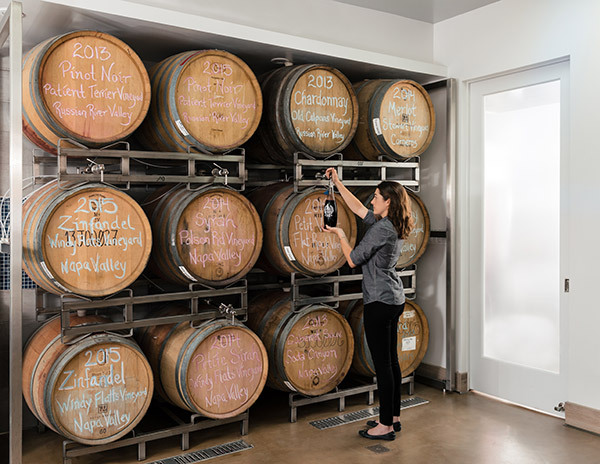 The wines are transported in their original barrels to the tasting room and served to customers directly via Lowell’s innovative patent-pending apparatus. Trademarked as a Wine Steward®, it allows wine to be repeatedly served directly from the barrel in which it is aging, without the remaining wine losing integrity. This innovative technology is poised to change several aspects of the wine industry. Our novel system combines perfectly with the use of the refillable, eco-friendly growler, allowing customers to select re-fills from a dozen barrels of wine across a wide taste spectrum. Growlers have long been recognized as a transport vehicle in the craft beer industry, Simply, it’s any container that is designed to be securely covered with the intention of filling (or refilling) it with wine for purposes of off-premise consumption. Our wine growler was expertly designed with craft precision keeping function and aesthetics in mind to create a sustainable alternative to bottle use. Each wine growler serves to protect the integrity of our small batch wines, and can double as an elegant keepsake. Please note that wine growlers are for off-premise consumption only. At LJ Crafted Wines, we take container cleanliness very seriously by accepting full responsibility for the hygiene of our bottle practices. We offer a wine growler exchange program with standards set to adhere with all state and local health regulations using NSF approved, industrial-grade cleaning technology. Each wine growler that is returned empty, is replaced with a freshly sanitized growler to ensure our wine travels from its barrel to the comfort of your home completely clean and without contamination. New, sanitized wine growlers are available for purchase onsite, and un-sanitized wine growlers are never used. We encourage consumption within one week’s time of filling to ensure optimal freshness. Outside containers are not permitted. Please rinse your growler with water and air dry before returning. The introduction of the Growlette, a 12oz version of the Growler, allows one to carry home just 2 glassfuls of wine. 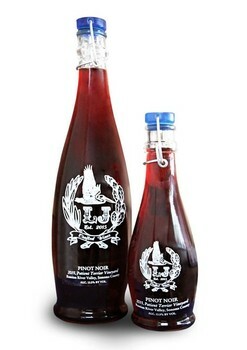 It is ideal for small occasions where one neither wants a whole growler nor left-overs; or for occasions where one would prefer multiple wines in small volumes. There is a $6 deposit for the growlette, and identical to the growler program, when returned, the growlette is replaced by a sanitized one to refill.